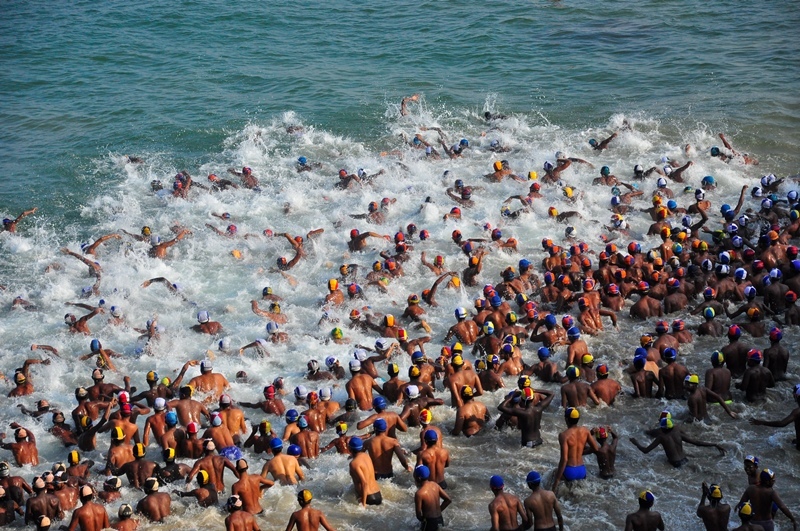 Swimmers from around the country took to the waters for the annual Two Mile Sea Swim organized by the Sri Lankan Aquatic Association in partnership with Mount Lavinia hotel. The two day event was held on the 3rd and 4th of March. One of the oldest open water swimming competitions in Asia, the Two Mile Sea Swim has been a platform for swimmers to showcase their grit against the mighty blue. This competition has produced a number of Sri Lankan greats in the aquatic arena who have gone on to represent their country at a number of international events. Winners: Mens – Dilanka Heshan from Nalanda College, Womens – L.H. Kaushalya Woshani from Ginthota Maha Vidyalaya.